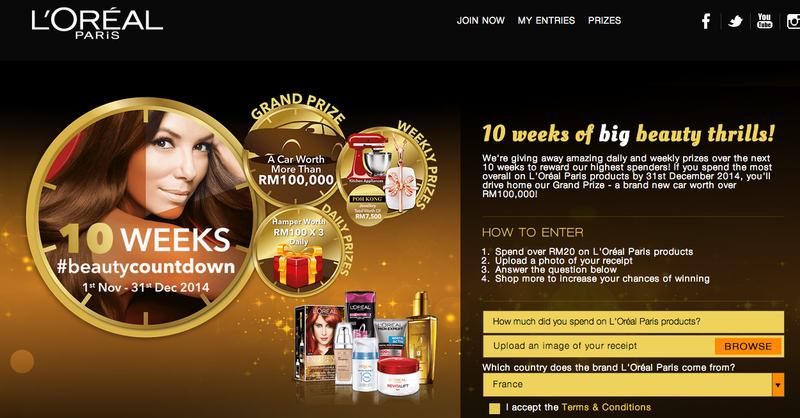 L'Oreal Paris is having a contest now over at www.lorealbeautycountdown.com.my for shopaholics out there starting from now until 31st December, 2014. 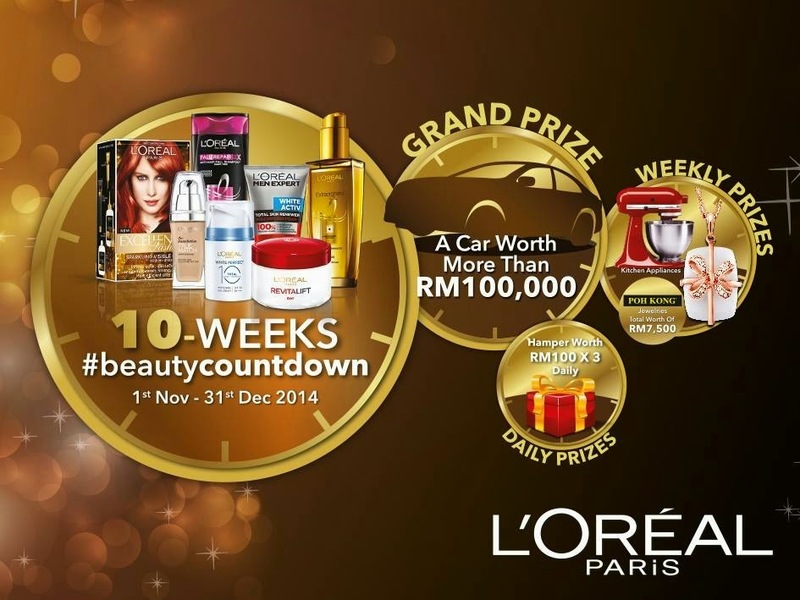 If you’re a shopaholics, get ready to shop your way to a grand prize of a car worth more than RM100,000 or win daily and weekly prizes. Christmas is around the corner so this is the best time and reason to shop and shop as great prize awaits you.